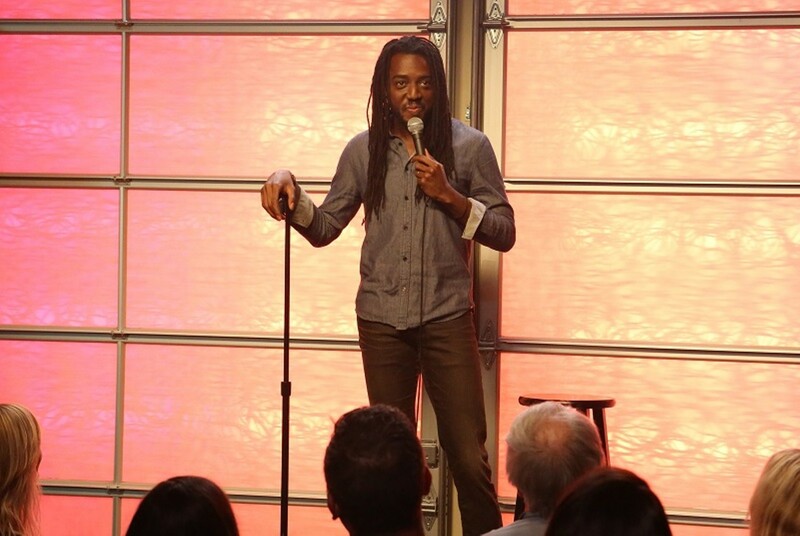 Julian Michael performs stand-up as part of Out on Stage. Zach Noe Towers is an out-and-proud gay comic on the rise, dubbed a comedian to watch in 2018 by Out magazine. If you haven't seen him yet there's a remedy. Towers is the host of Out on Stage, a stand-up show that will feature sixteen gay-and-lesbian comics who are on the verge of breaking out. Julian Michael, Irene Tu and Gloria Bigelow are all featured in this one-night-only performance, which screens nationally courtesy of Fathom Events. Out on Stage is shown locally at 8 p.m. Tuesday, July 24, at Marcus Wehrenberg Ronnies 20 Cine (5320 Lindbergh Boulevard; www.fathomevents.com). Tickets are $15.